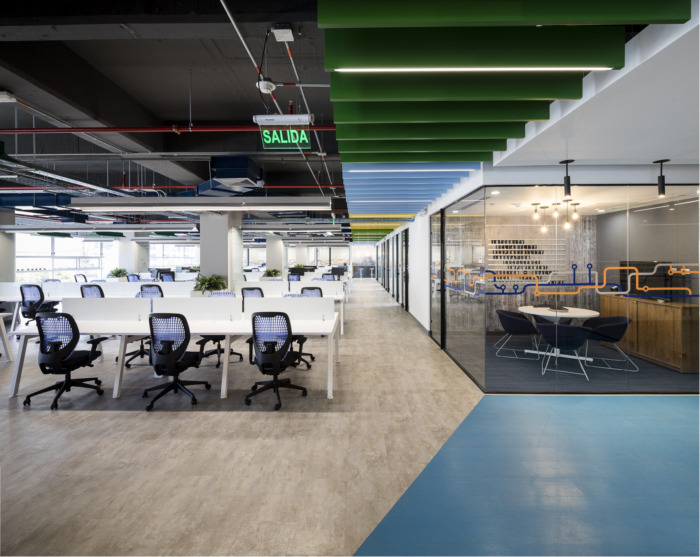 AEI Arquitectura e Interiores designed the offices for software company Belatrix, located in Bogota, Colombia. The design of the project is unique and it fits the needs of end users. The original idea of ​​the project revolves around train and the design concept is called “train of passion”. 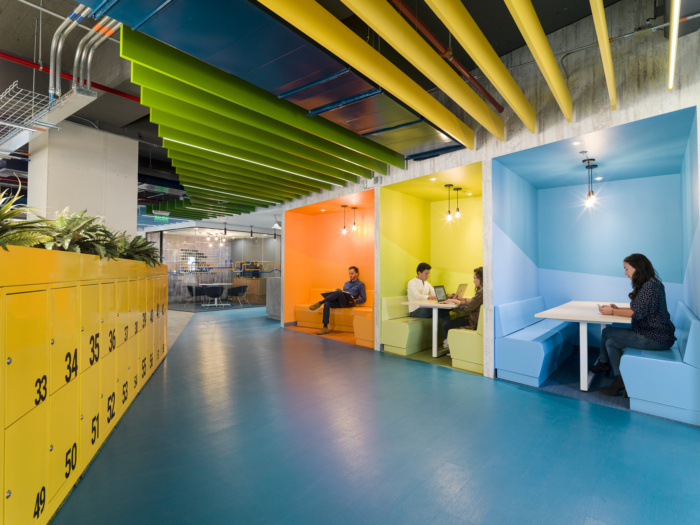 Their new offices in Bogota are modern, young, colorful and optimistic, reflecting the values ​​of the company. They are meant to have a positive impact on its users thanks to their recreational areas (swings, ping pong table, video games area, etc.). It has a cafeteria with a privileged view and an area called “Relax Room”, for recreation and rest. The project is designed for a young and fun team.